Denver's early settlers came for the gold. So it makes sense that the city, to this day, is producing riches, right? The U.S. Mint in Denver is one of four mints in the country that produces coins, and visitors can get an insider look at what happens in this money-making factory. The other three coin mints are located in Philadelphia, San Francisco and West Point, N.Y. The main U.S. Mint in Washington, D.C., is the only one in the country to print paper currency. First, a little history: The U.S. Mint in Denver began producing pennies, dimes, nickels and quarters in 1906. The Denver Mint also produced foreign coins for countries such as Argentina, Mexico and Israel. However, the U.S. Mint has not struck foreign coins since 1984. Every year, the U.S. Mint in Denver produces billions of coins for the American public. The U.S. Mint in Denver and the U.S. Mint in Philadelphia are the only two mints that offer public tours, which is one of the reasons it's a popular tour among locals and tourists alike. After the tour in Denver, you can pop in the gift shop and buy one-of-a-kind coins and souvenirs. Here's what you need to know before touring the U.S. Mint in Denver. The U.S. Mint in Denver offers free, 45-minute tours of its production facility from 8 a.m. to 3:30 p.m. on Monday through Thursday. No cameras, food, backpacks or weapons are allowed on the tour. Visitors also must pass through security screening to enter the Mint. The U.S. Mint in Denver is closed on federal holidays. 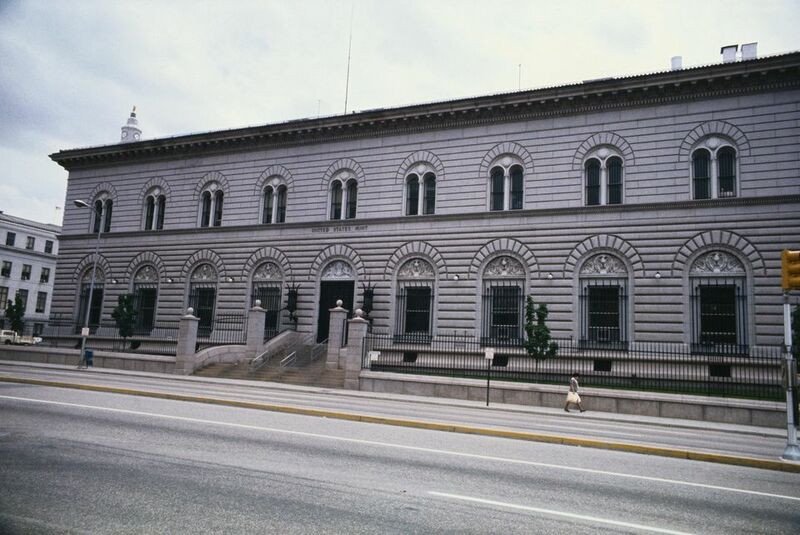 Admission to the U.S. Mint in Denver is free, but reservations are required for the tours. You can nab your free tour tickets at the "Tour Information" window located at the Gift Shop entrance gate on Cherokee Street, between West Colfax Avenue and West 14th Avenue. The Tour Information window opens at 7 a.m., Monday- Thursday (excluding observed federal holidays), and will remain open until all tickets have been distributed. Tickets are for same-day tours, and more advanced reservations can't be made. You're limited to reserving five tickets. Worth noting: During peak travel times, such as Spring Break and Winter Break, tickets become more limited because they are in such high demand. Visitors often arrive as early as 5 a.m. to secure their tickets. The U.S. Mint offers six tours a day. The times are: 8 a.m., 9:30 a.m., 11 a.m., 12:30 p.m., 2 p.m. and 3:30 p.m. The free tours are limited to around 50 people per tour, and a Mint guide takes visitors through the production process. Visitors are not allowed on the production floor, but can view machines from windows looking down on the manufacturing process. Security guards accompany tours at all times. Tours are not recommended for children younger than age seven. After the tour, visitors can purchase Mint merchandise such as T-shirts and piggy banks at the gift shop currently located in a small trailer. However, no coin sales are conducted at the gift shop besides automated machines that exchange dollar bills for $1 coins. To purchase coin sets, visit the U.S. Mint online store. The U.S. Mint in Denver is located on West Colfax Avenue near the City & County Building and Denver Police. From I-25, exit on Colfax Avenue and head east toward downtown Denver. The Mint is located between Delaware Street and Cherokee Street. The U.S. Mint was formed on April 2, 1792 with the Coinage Act of 1792. The U.S. Mint in Denver produced the first Congressional Medal.